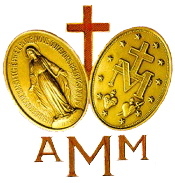 The meeting of the active members of the AMM gathering together in prayer usually occurs once a month. It begins with candle-lit Adoration. This half hour of silence is a real chance to pour yourself out to God. Tell Him how your day has been. Tell Him what’s brought you joy and what has brought you a troubled heart. Spill it all out and open yourself to Him. You will get an answer, even if it’s just to be able to say “I am at peace” or “My soul is at rest – let nothing disturb me”. After the repose of the Blessed Sacrament, there is a brief coffee break – a chance to catch up with other members before the teaching. Then a different piece from the Catechism is explored over a period of time in detail. It may be the Sacraments or the Creed for example. The real meaning of what the Church teaches and what we as Catholics profess to believe and live by is explored and discussed. The meeting then closes with the Novena prayers. This meeting pattern can have some variation in different places.